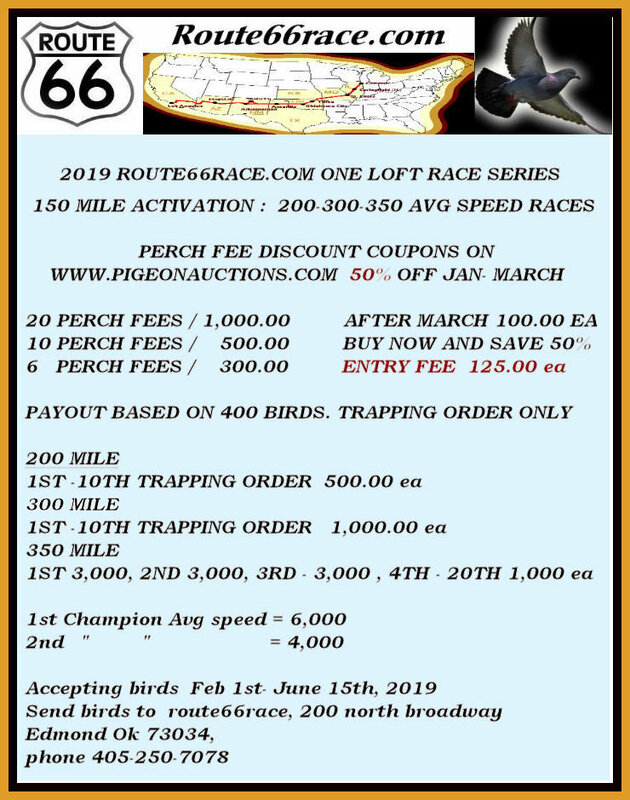 3 PERCH FEES FOR 150.00 ROUTE66RACE 2019 50 % SAVINGS USE BUY IT NOW FEATURE. 3 PERCH FEES FOR 150.00 50 % SAVINGS USE BUY IT NOW FEATURE. 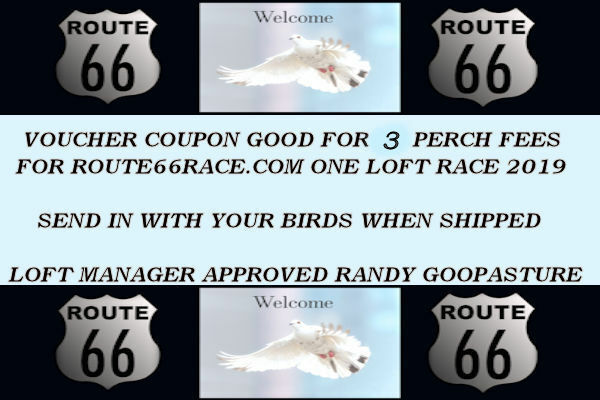 VALUED AT 300.00 THIS IS A 50 % DISCOUNT ON PERCH FEES. NO LIMIT ON THE NUMBER OF COUPONS YOU PURCHASE. THEY WILL BE MAILED TO YOU FREE OF ANY CHARGES. JUST SEND THEM IN WITH YOUR BIRDS WHEN YOU SHIP. WE LOOK FORWARD TO AN EXCITING 2019 SERIES WITH A NEW CONCEPT. SEE DETAILS POSTED ON FLIER.